The path heads towards Carl Side and is seen to branch left to Carlside col and right to Carl Side summit. 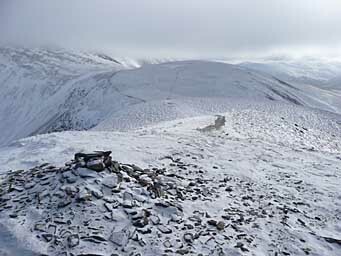 The fells on the left are the Helvellyn ridge from Great Dodd. Larger version of this picture.